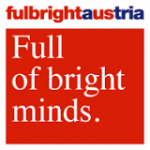 Fulbright Grants Offered to Jessica Au'16, Jelena Borak'15, Sarah Evans'18 Jason Goldman'18, Elijah Ness'17. Yasmine Seghir'18, Westin Sibley'17 and Daniela Weiner'12. 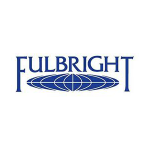 The Fulbright Program is the flagship international educational exchange program sponsored by the U.S. government and is designed to increase mutual understanding between the people of the United States and the people of other countries. Awarded to the following students in the class of 2019: Amna Aslam, Michelle Lam, Allegra von Hirschberg, Aurora Jeffrey and Amisadai Licea. 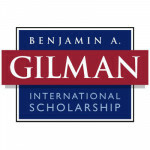 The Gilman International Scholarship Program offers grants for U.S. citizen undergraduate students of limited financial means to pursue academic studies abroad. The committee is pleased to award Sukari Jones '05, the W.K. Rose Fellowship. The W.K. 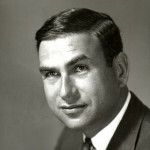 Rose Fellowship is made possible by a bequest from the estate of W. K. Rose, a distinguished scholar and teacher who was a member of the Vassar English Department. Its object is to provide a worthy young artist with a chance to be free after college to pursue his/her work as an artist. Awarded to Sophia Burns'18, Camilla Chee '18, Gloriana Macagnone '18, Yesenia Perez '18, Kevin Pham '18, Kayla Gonzalez '19 and Zachary Brashear '18. 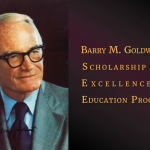 The Gilman International Scholarship Program offers grants for U.S. citizen undergraduate students of limited financial means to pursue academic studies abroad. Awarded to Andrew Eslich '17 to implement a mentoring program that will serve middle school and high school Latinx students in Dover and Philadelphia. 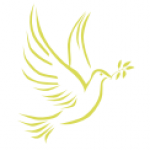 100 Projects for Peace an initiative for all students at the Davis United World College Scholars Program schools to design their own grassroots projects for peace that they themselves will implement anywhere in the world during the summer. Grants offered to Chealin Won '17, Raymond Magsaysay '17, Nikki Lohr '17, Alexander Bue '14, Vanessa Baker '14. The Fulbright Program is the flagship international educational exchange program sponsored by the U.S. government and is designed to increase mutual understanding between the people of the United States and the people of other countries. Awarded to Andrew Willett '17, Each year, more than 140 college graduates from the United States teach in Austria under the auspices of the Austrian Federal Ministry of Education (BMB) Foreign Language Teaching Assistantship Program. Awarded to Frank Najaro the program seeks to encourage and enable highly motivated students to pursue opportunities available to them and to be courageous in the selection of a graduate course of study in the arts, humanities and social sciences. Awarded to Sandy Jiang '19. 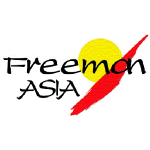 Freeman-ASIA is designed to support U.S.-based undergraduates with demonstrated financial need who are planning to study overseas in East or Southeast Asia. The program’s goal is to increase the number of U.S. citizens and permanent residents with first-hand exposure to and understanding of Asia and its peoples and cultures.